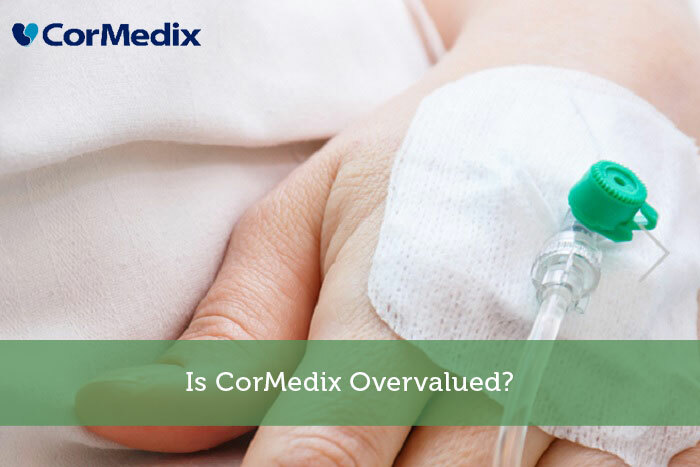 CorMedix, Inc is a commercial-stage pharmaceutical company focused on harnessing its taurolidine technology for the prevention and treatment of infectious and inflammatory diseases. The stock has returned 56% year-to-date. It is currently trading at price to sales ratio of 574.17 and P/B ratio of 41.92. The company released its fourth quarter 2018 and full year 2018 results on March 14, 2019. Net income was $2.1 million when compared to a net loss of $10.3 million for the same period last year. The improvement was mainly due to the reversal of the clinical trial expenses as a result of the confidential settlement. Operating expenses were $2.1 million compared to $10.4 million in the fourth quarter of 2017. The decrease was primarily due to the decrease in R&D expense of $12.8 million. For the full year, the company recorded a net loss of $26.8 million or $0.30 per share when compared to a net loss of $32.9 million or $0.60 per share for 2017. Cash at the end of the fourth quarter was $17.6 million when compared to $10.3 million at the end of December 2017. The management feels that the cash is sufficient until the second quarter of 2020. It also closed the $7.5 million senior secured convertible debt financing with Elliot Associates. The loan has a three-year maturity with an annual interest rate of 10% and is convertible into the company’s common stock at a price equal to $1.50 per share. The company has announced one-for-five reverse stock split of the Company’s common stock, par value $0.001 with effective from March 26, 2019. Khoso Baluch, CorMedix CEO commented, “We are implementing the reverse stock split as planned so that we have the flexibility to take advantage of future investment opportunities, to possibly attract more institutional interest into our stock, and given our need to have available unissued shares to reserve for past transactions. As our current cash position is expected to finance the Company into the second quarter of 2020, we believe it is a good time to move ahead.” The outstanding shares will be approximately 23.8 million from 119.0 million shares. Recently, some of the institutional investors have started to increase position in the company. Institutional investors hold around 13% of the company’s stocks. Elliot Associates, L.P. owns about 3.65%, Vanguard holds 3.62%, and Blackrock holds 2.33%. Some of the company’s insiders have also been increasing positions. Zacks upgraded the stock from a sell rating to a hold rating. The company’s lead product is Neutrolin in the United States. Neutrolin is currently in Phase 3 clinical study, known as LOCK-IT-100. Neutrolin is a non-antibiotic anti-infective developed as a preventative solution to decrease the threat of infection and blood clots (thrombosis), thereby keeping central venous catheters (CVCs) operating safely and efficiently. Neutrolin has FDA Fast Track status and is designated as a Qualified Infectious Disease Product, which provides the potential for priority review of a marketing application by FDA and allows for 5 additional years of QIDP market exclusivity in the event of U.S. approval. Neutrolin is CE marked device in Europe and in the post-market studies it showed to reduce catheter-related bloodstream infections by 96% and thrombosis by 96.7% compared to historical benchmarks. Conclusion: The stock has a market capitalization of about $200 million. It’s a high risk and high return stock. The stock has already moved up in the past several months. The company is betting on the approval of Neutrolin.